Media could hardly avoid revealing the disjunction, even as many worked hard to tell you you weren’t seeing what you thought you were seeing—that the overwhelmingly unarmed people were a violent mob, that the snipers picking them off from a distance were defending their lives. That sort of dissonance has marked elite US media coverage of Gaza for many years. 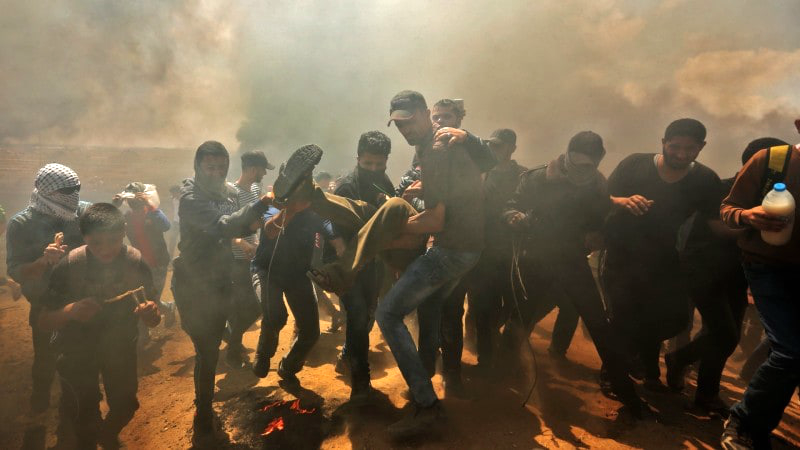 This week we revisit conversations with just three of the people that CounterSpin has heard from who are working to expand and deepen US audiences’ understanding of Gaza—the conflict, the context and the possible ways forward. We’ll hear from James Zogby, president of the Arab American Institute; from Yousef Munayyer, executive director of the US Campaign for Palestinian Rights; and from the Institute for Policy Studies’ Phyllis Bennis.